Ducted Heating is a system which has been designed to heat up an entire home efficiently by using one central gas heater. Being connected to a series of ducts, the heater draws the cold air from inside the house through a return air grille, heats it by passing it through its heat exchange and then diffuses the warm air out to each outlet through a series of ducts. The vents (or outlets) are deliberately placed to make sure that all areas throughout the home are evenly heated. Ducted Gas Heating is the most preferred option in most countries due to its low running cost. With the ducted heating system, you can reduce the power consumption cost and maintenance cost. Why to Choose Gas Ducted Heating? Cost Effective: The ducted gas heating systems come with a low supply and installation cost as compared to the ducted refrigeration options is very less, so making gas ducted heating a feasible option. Low Operational Costs: Natural gas is cheaper than electricity thus making these units much more cost effective. The main cost involved is the general service which is recommended to be carried out at least once in every two years. Even you do not need to spend any additional maintenance cost apart from the cleaning of the ducts and filters of these heating systems. Not Conspicuous: While installing a Ducted Gas Heating system, the heater and its ducts are obscured either in the roof space or under the floor with the outlets. So, these ducts can provide equal heating to your entire premises and you can also control the temperature of different rooms or zones with its remote-control system. Quiet: Ducted heaters are much quieter as compared to the bigger ducted refrigerators. The noise is only produced in the fan of the heater and the air being drawn in through the return air grille. So, there is no noise pollution and you will get peace of mind in your rooms. Zoning Options: As the ducted heating systems use one central heater to heat the entire house, most models come with zoning capability. This option entitles the duct to the unused areas to be closed off from heating. This feature is analogous to having portable gas heaters in every room. Star Rating: Each Ducted Gas Heating system nowadays comes with star ratings. These ratings provide the efficiency of the unit and illustrate the amount of energy consumption of the gas ducted heating system. Choosing a higher star rating raises the upfront cost but at the same time reduces the running cost, making a higher star heater a viable long-term investment. Gas ducted heating is the most preferred option when it comes to heating an entire home, mainly owing to its low annual running cost. Even the 3-Star ducted gas heating systems cost is more efficient than most other heating units including the electric heaters and heating using split system air conditioning units. A higher efficient Ducted Gas Heating system can further reduce the running costs by up to 30% per year. 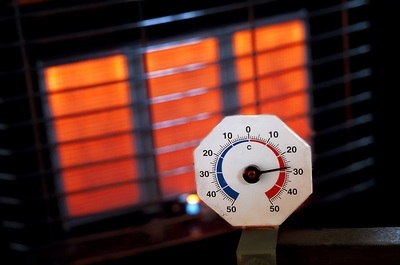 However, the final expenditure of ducted gas heating systems is unique to each home due to contributing factors such as the size and configuration of the house, the position of the heating unit and distance to each outlet, the access in the roof or under the floor, ceiling heights, window coverings, etc. So now you can search some gas ducted heating systems online and choose the best one for your home.